The Council of Hotel and Restaurant Trainers (CHART) is pleased to announce a new sponsor relationship with AllerTrain, a manager-level, food allergy and gluten-free training course. WESTFIELD, NJ, February 6, 2018 – The Council of Hotel and Restaurant Trainers (CHART) is pleased to announce a new sponsor relationship with AllerTrain, a manager-level, food allergy and gluten-free training course. Silver: AllerTrain, American Hotel and Lodging Association Educational Foundation, Creative Restaurant Solutions, DiscoverLink, HotSchedules, Legacy Event Productions, PlayerLync, TDn2K, ViaTech, Wisetail, and World Manager. Contact: Lisa Marovec at 312.405.2634, Lmarovec@chart.org, or visit www.chart.org. 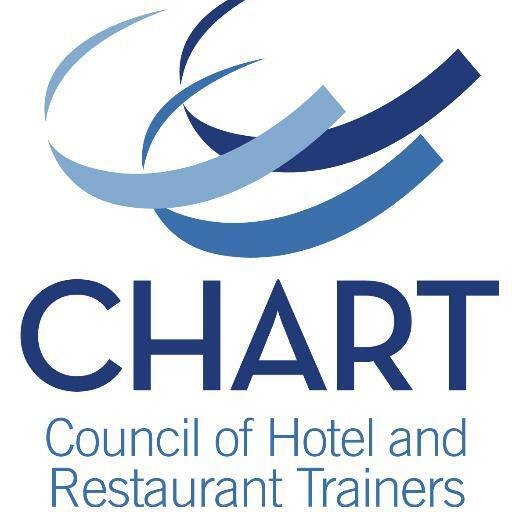 CHART (chart.org), a non-profit professional association founded in 1970, is the leading resource for the development and advancement of hospitality training professional and their organizations. With more than 500 members from over 300 multi-unit restaurant and hotel companies, CHART represents a workforce of almost three million. CHART includes all facets of hospitality training, learning, and performance professionals; from entry level to senior executive. CHART’s mission is to develop hospitality training professionals to improve performance through access to networks, education, and resources. AllerTrain is an ANSI accredited, manager level, food allergy and gluten-free training course and is available in English and Spanish. The course teaches food service professionals about the top foods causing food allergies, proper protocol for preparing food to avoid cross-contact and how to better serve diners with special dietary needs. Also covered are recommendations for policy implementation and information on current legislation.